Chamber Music at the Clark concert seating is determined via lottery. 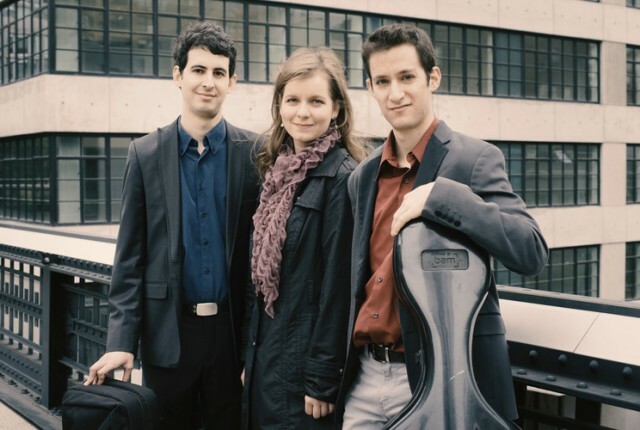 The booking-by-lottery entry form for Lysander Piano Trio seats posts here on Thursday, February 9, 2017. Lottery registration closes Thursday, March 2, 2017. The Lysander Piano Trio, a winner of the 2012 Concert Artists Guild Victor Elmaleh Competition, has been praised by the Strad for its “incredible ensemble, passionate playing, articulate and imaginative ideas and wide palette of colours.” These qualities have made the trio a standout at other competitions, with top honors at the 2010 Fischoff National Chamber Music Competition, the 2011 Coleman Chamber Ensemble Competition (Grand Prize), and the 2011 J. C. Arriaga Chamber Music Competition (First Prize). The ensemble’s 2014 debut recording, After a Dream (CAG Records), featuring music by Ravel, Haydn, Schubert, Joaquin Turina, and Moshe Zorman, was acclaimed for its “polished and spirited interpretations” (The New York Times).